Who can apply to be in Math Corps? Any 6th or 7th grade student, or 9th-12th grade student attending school in the greater Cleveland area may apply to be in the Math Corps Cleveland. How much does it cost for students to attend Math Corps? There is no cost for students to attend the Math Corps. My high school student needs help in math. Can they apply? Yes! However, due to the special tutoring nature of the position that high school students occupy within the Math Corps, they must at least be proficient in 7th and 8th grade Mathematics. High school students will receive instruction and assistance in their Mathematics courses during the latter part of each program day. My child participated in the Math Corps last summer. Is their acceptance guaranteed next year? No, all students must reapply, complete the application process and fulfill the criteria for eligibility. However, returning students receive priority consideration upon their reapplication to the program. My child was placed on the waiting list last year. If they reapply for this year, will they be accepted? Re-applicants are truly special, as it conveys determination and perseverance! While acceptance is not guaranteed for a re-applicant, their application is given higher consideration than one that comes to us for the first time. How important is my child’s essay? Very! The essay can tell the Selection Committee a lot about the needs, self-esteem, and desire of the applicant to join the Math Corps. It is a very important document that is kept in the Math Corps files for years. How can my child increase their chances of getting accepted in the Math Corps? Because the Math Corps accepts such a wide variety of students at a wide variety of skill levels, there is no definitive answer to this question. However, there are two things that can truly give more weight to an applicant: an application that is on time, and 100% complete. Does the Math Corps run all year? 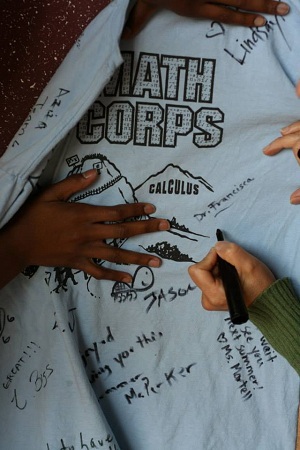 During the Winter semesters, Math Corps programs run for ten weeks on Saturdays. During the Summer, Math Corps programs run for six weeks beginning in the middle of June. Is the Math Corps an "everyday" program? 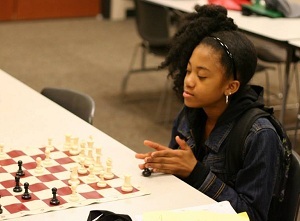 During the school year, Math Corps programs run on Saturdays only. 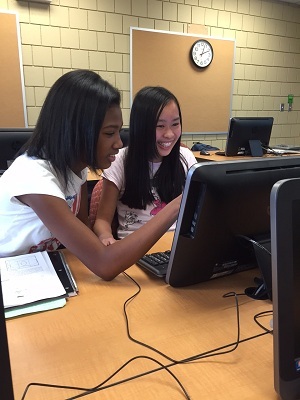 During the Summer, Math Corps programs typically run Monday through Thursday. The summer closing ceremonies typically take place on a Friday evening. Are there any after-school activities for my child to participate in? During the school year, there currently are not any after school activities conducted by the Math Corps. During the summer, there are tutorial classes in the afternoon, after the standard program lets out, for those students who are in need of additional assistance in their coursework, or who feel they would like to get ahead. We have a family trip scheduled that conflicts with the first day/first week of the Math Corps. Can my child be excused? The Math Corps' philosophy on attendance is this: One cannot learn if one is not present. Therefore, absences due to family trips, vacations, conflicts with other programs, or similar cases are not excused. What supplies does my child need to bring everyday? All necessary supplies are provided for every student in the Math Corps. 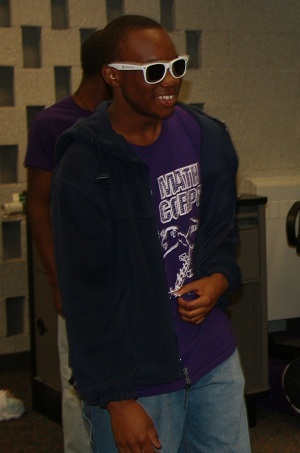 These include: notebook, paper, pencil, journal folder, and a T-shirt, which must be worn every Thursday. Does my child have to bring money for lunch / food? The Math Corps provides a light breakfast during every program throughout the year. For lunch during the Summer Programs, students have the option of buying lunch at various eateries on Cleveland State's campus, or bringing a sack lunch from home. Lunch is provided by the Math Corps at no charge to students on Family Meal Day (typically, each Thursday). On those days, a sack lunch must be brought from home if the lunch selection is not to the students' liking. Do students live on-campus during the program? No. Students may arrive to campus as early as 8:30 a.m. each morning and be under supervision. Middle school students are dismissed at 2:30 p.m., and high school students are dismissed at 3:45 p.m. every day. After-program activities are dismissed no later than 4:15 p.m.
Where are courses for the Math Corps held? All of the Math Corps programs are currently held on Cleveland State University's campus near Downtown Cleveland. What do students learn at Math Corps? You can learn more by reading the descriptions provided on this website of The Math Corps Summer Camp, The Math Corps Bridge Program/Super Saturdays, or The Math Corps Curriculum.